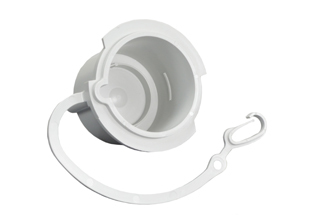 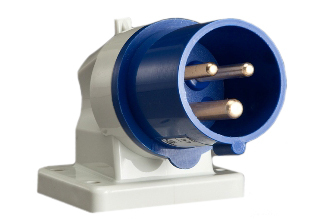 POWER INLET, IEC 60309 PIN & SLEEVE DOWN ANGLE INLET. 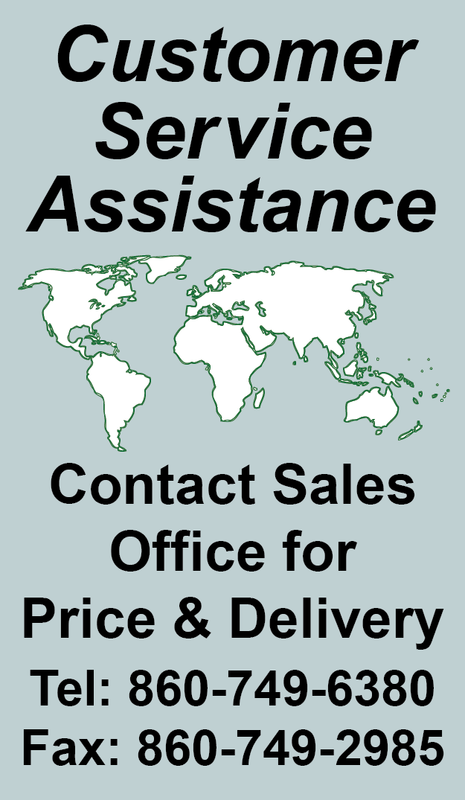 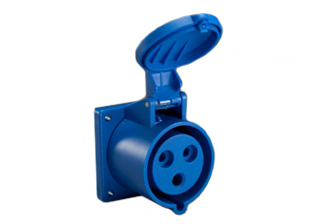 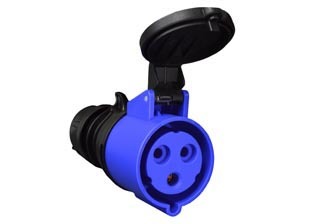 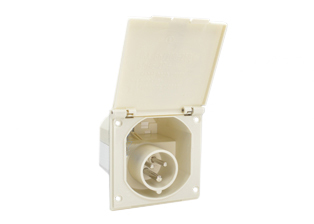 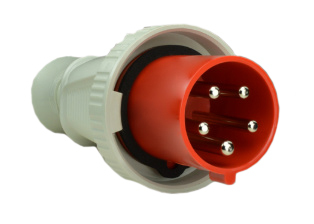 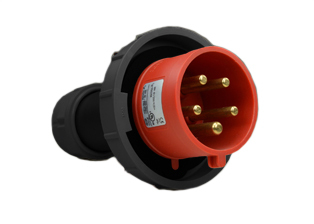 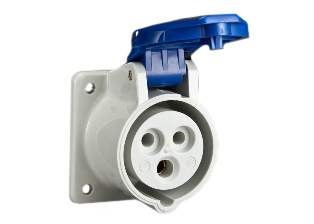 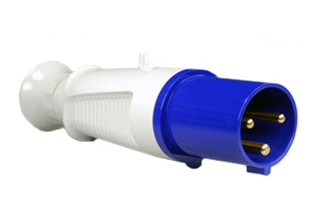 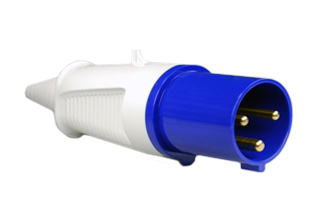 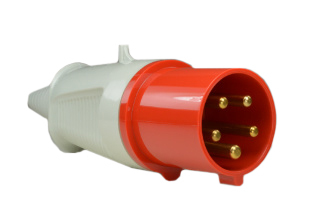 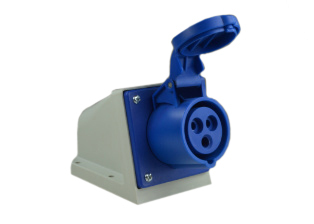 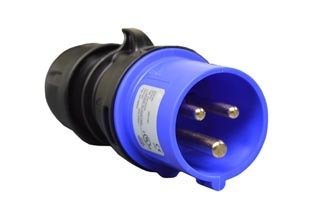 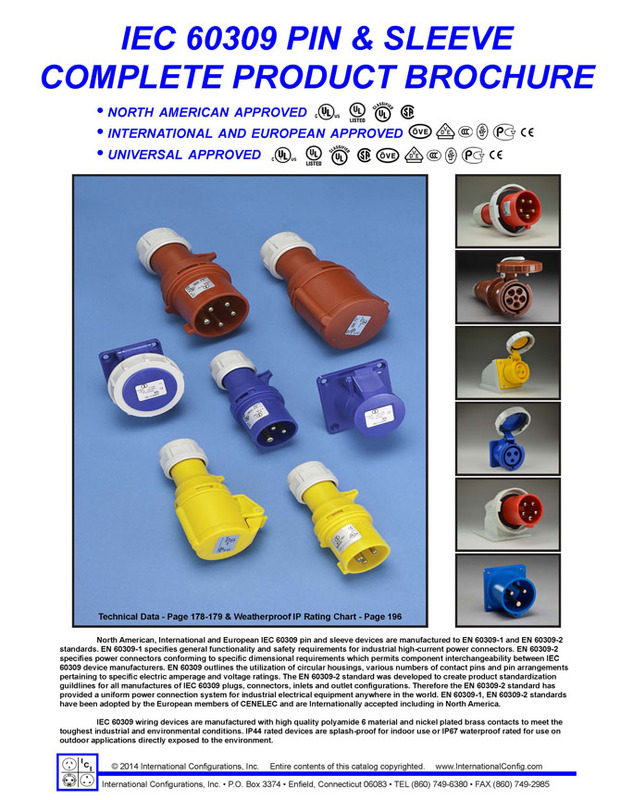 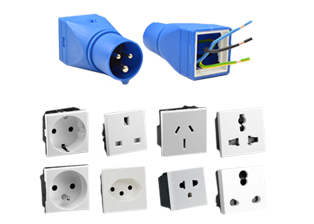 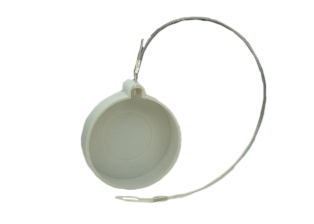 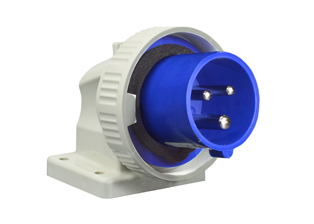 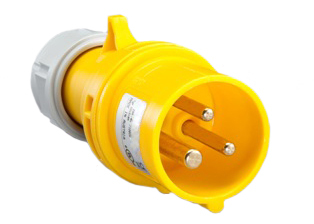 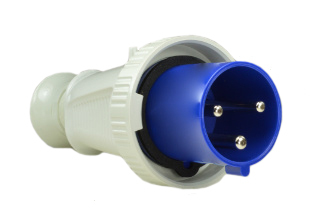 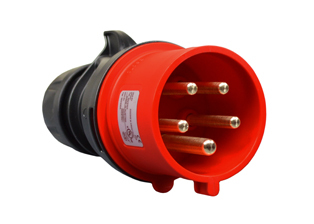 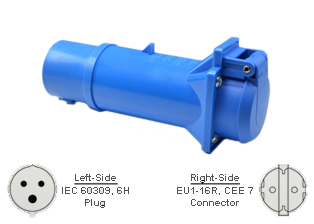 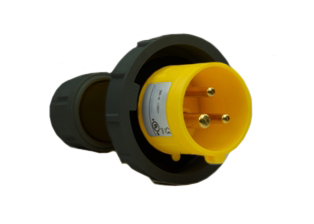 (6h), 20 AMPERE-250 VOLT (UL/CSA LISTED), 16 AMPERE- 220 VOLT (VDE LISTED) IEC 60309 PIN & SLEEVE INLET WITH "UNIVERSAL APPROVALS", SPLASH PROOF (IP44), CEE17, IEC309, 2 POLE-3 WIRE GROUNDING (2P+E), BLUE. 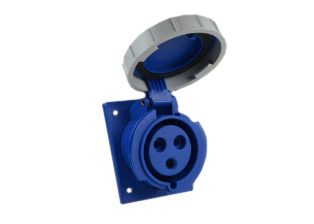 REACH, RoHS, CE. 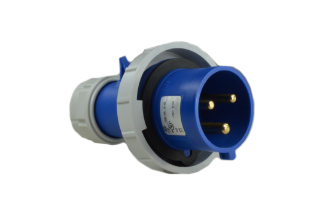 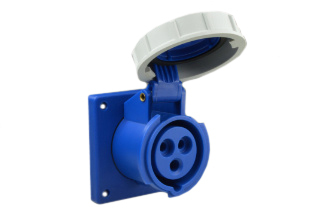 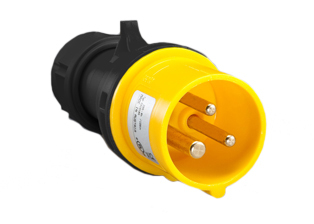 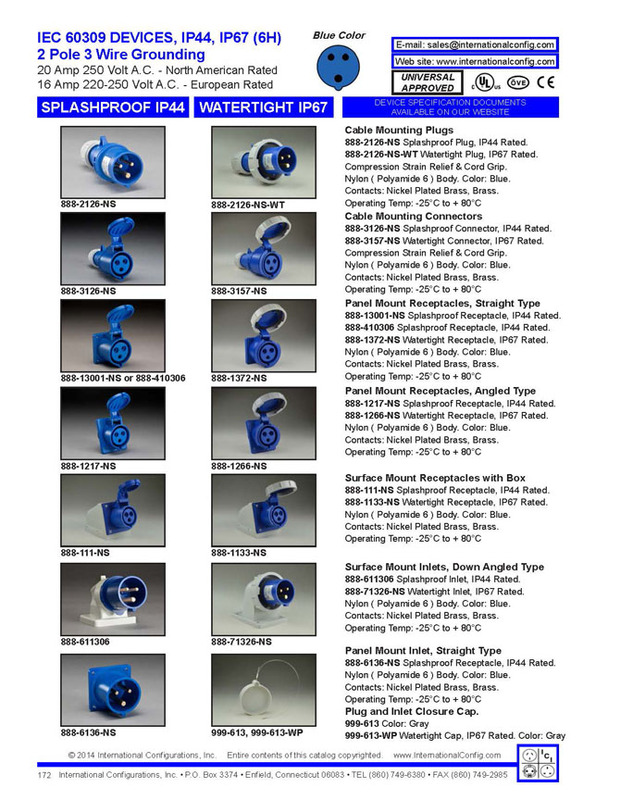 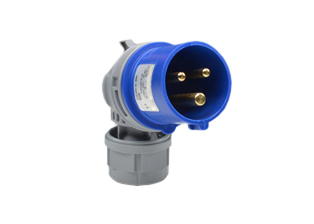 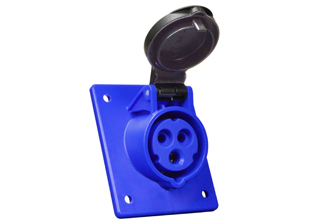 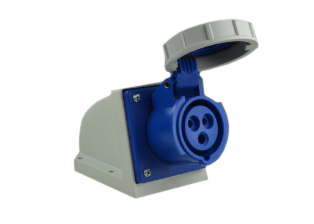 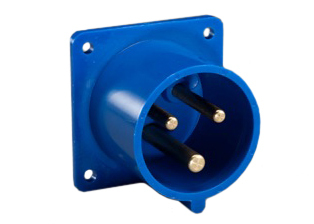 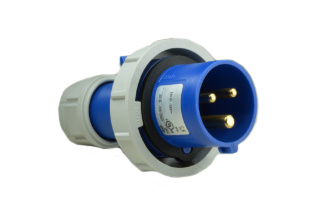 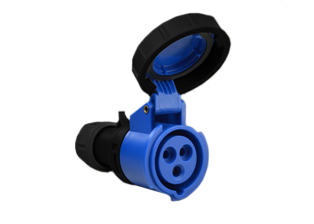 Description: IEC 60309 PIN & SLEEVE DOWN ANGLE POWER INLET, (6H), 20 AMPERE-250 VOLT (UL, CSA), 16 AMPERE- 220 VOLT (VDE), "UNIVERSAL APPROVALS", SPLASH PROOF (IP44), PANEL MOUNT, 2 POLE-3 WIRE GROUNDING (2P+E), NYLON (POLYAMIDE BODY), 55mmX30mm C TO C MOUNTING, BLUE.